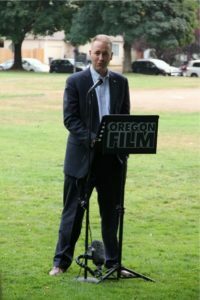 Sep - 07 | By: Oregon Film | no comments. 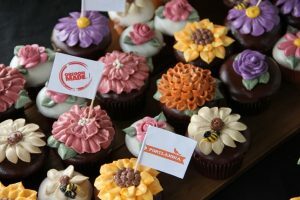 Lambs bakery baked up some great cupcakes! 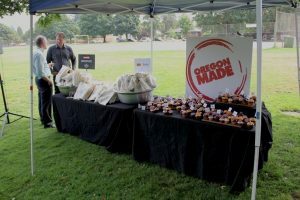 Thank you TriBella and Willamette Valley Wineries Assoc. 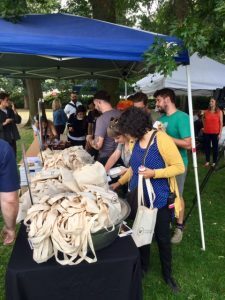 Great crew gift bags! 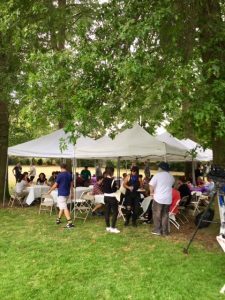 A celebration of Cast and Crew, gathered at Arbor Lodge Park today. 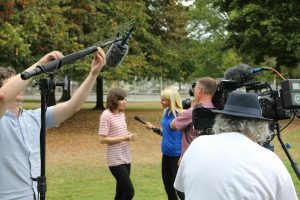 Cast, Crew, Producers, and city officials gathered to celebrate 8 successful seasons of IFC’s and Broadway Video’s “Portlandia” shooting in Portland. 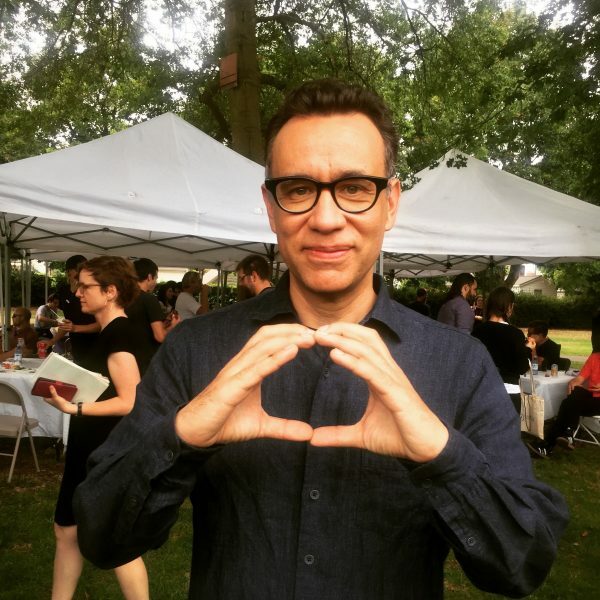 The unveiling and dedication of a “Portlandia” plaque was then gifted to City Hall. 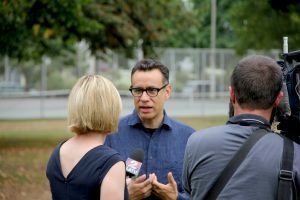 The plaque will be placed near a specially commissioned “put a bird on it” bench on the third floor of Portland City Hall, outside the Mayor’s office. 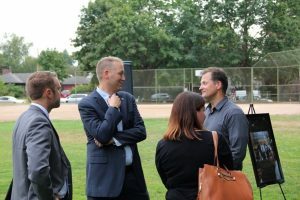 On hand to accept the plaque, were the show’s producers, cast members and local crew as well as Oregon State Treasurer, Tobias Read, and representatives from the Governor’s office, state legislators, Portland City Hall staff and employees. 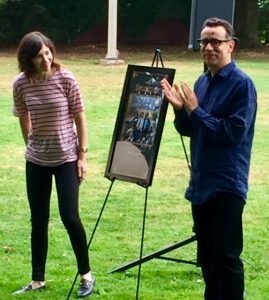 Additionally, producers from IFC and Broadway Video and Fred Armisen and Carrie Brownstein, were there to commemorate the event. 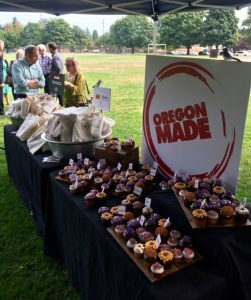 In addition, a commemorative bike rack, designed and created by Noah Dille, local welder and fabricator with a background in the motion picture industry, will be installed in front of City Hall for all Portlanders to use in celebration of the show. 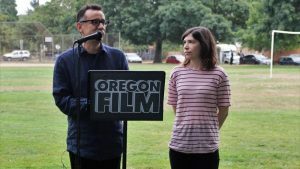 The plaque and bike rack were specifically commissioned by Oregon Film and the Portland Film Office, with support from the Oregon Media Production Association (OMPA), as a gift to Portland City Hall to celebrate “Portlandia’s” contributions to the city. 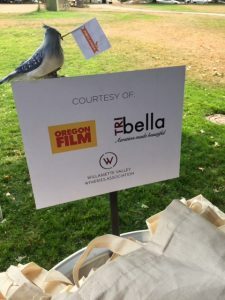 Thank you to TRIbella and the Willamette Valley Wineries Association for providing fantastic crew gift bags and being on hand to talk to the cast and crew. 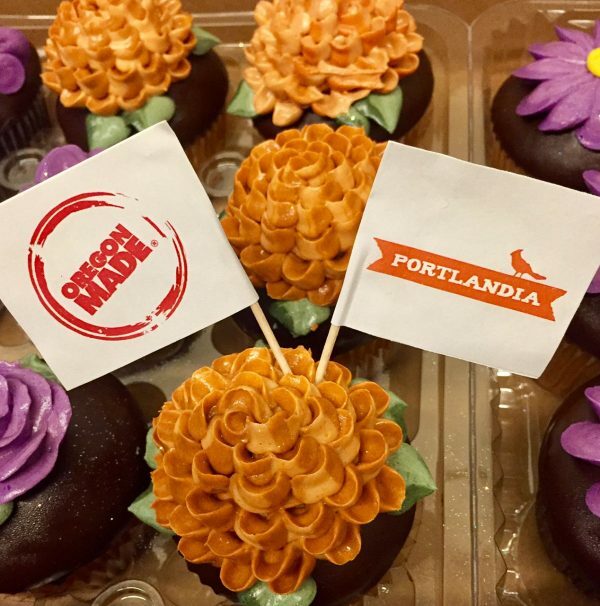 Over the last 8 years “Portlandia” has accounted for almost $40M of direct spending and supporting 200 annual jobs with nearly $15M in payroll, and $18M in in-state goods & services paid to more than 100 Oregon vendors each season.